What is now a tiny, beautiful tropical island off the coast of Zanzibar, was once not a pleasant place to be at all. At first, Changuu Island (known more commonly as Prison Island) was the location where slaves were detained and held until they were transported to places in the Middle East or Europe. After that, the island was transformed into a quarantine center where people with deadly diseases were left, so they wouldn’t spread their illnesses with the healthy. 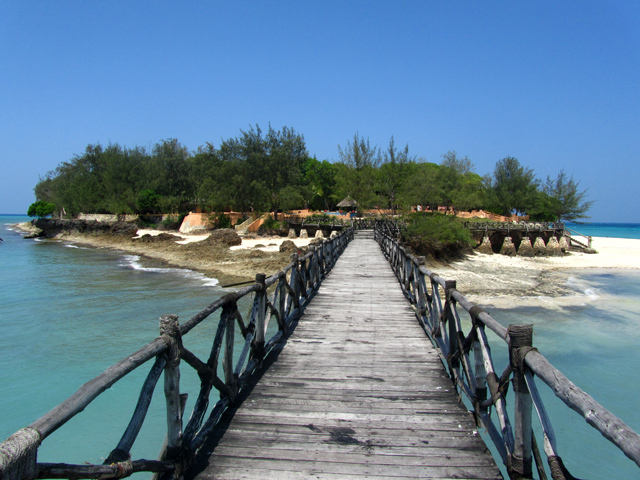 Today, the island is a nature reserve, and a beautiful place to spend the day when you visit Stone Town, Zanzibar. Getting to the island takes about 30 minutes by motor boat, and should cost around $30 – $40 per boat (there and back), each of which can accommodate up to 10 people. 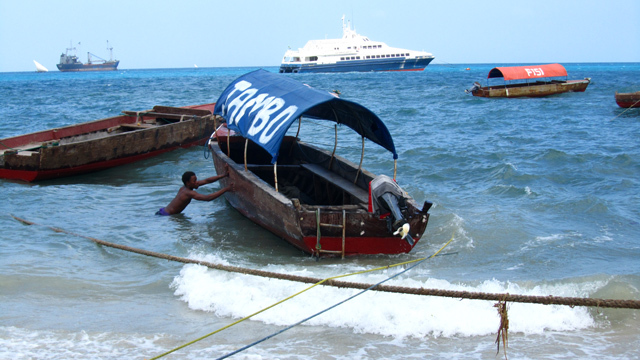 If you don't want to deal with the boat owners themselves, or if you don't have 10 people to rent the entire boat, you can easily book a day trip to Prison Island at one of the many tourist offices in the central part of Stone Town – just be sure to negotiate a deal before you go. The Indian Ocean can be quite choppy, so be forewarned if you become easily seasick. Once you arrive in the shallower waters of the island, the water becomes calm and the color turns to that beautiful shade of turquoise blue. Taking a cool dip and snorkeling around the island is one of the activities that the island is famous for. When I visited, the water wasn’t overly clear, so I wasn’t able to see much while snorkeling, but the swimming was fantastic. 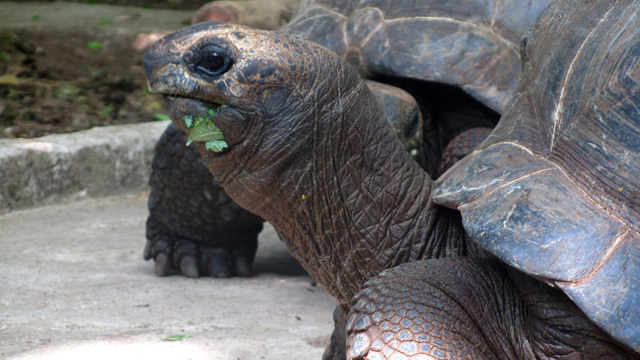 A gift from the Seychelles, on one side of the island is a colony of giant tortoises – one of the highlights of Prison Island these days. Some of them are literally giants, creeping around silently, while munching everything green in sight. Though it is not permitted to ride them anymore (as it was a few years ago), you can still feed them and touch them. They really do look and act just like dinosaurs. 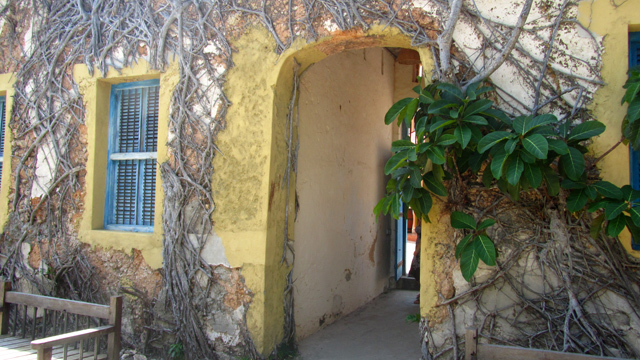 About a 5 minute walk away are the former ruins that once functioned as the prison. The structure has aged and weathered into an interesting combination of concrete and overgrown vegetation that also offers a lovely view of the water below. 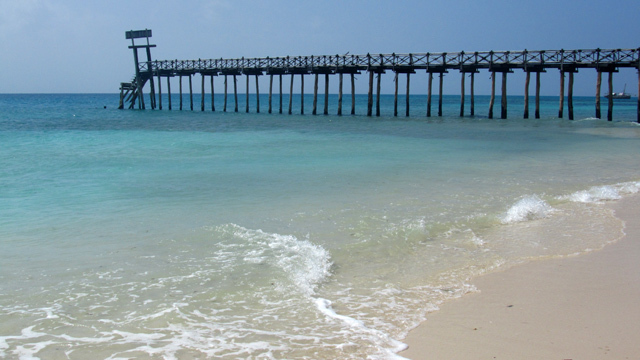 Another iconic symbol of Zanzibar's Prison Island is the rickety wooden bridge that stretches from dry land to about 50 meters into the water. With every wave, the bridge shakes a little, and apart from being a decent place for locals to go fishing, it doesn't serve much other purpose. Most people choose to just visit Prison Island for a day trip on their busy schedules of Zanzibar, but if you choose to spend the night on the island, there is one pricey private island resort where you can stay. Prison Island is a quiet beautiful place to spend the day.However the Znz goverment should also think of lowering prices for the locals.They shoud promote local tourism.